A mortgage release could help you resolve your delinquency, avoid foreclosure and consider different options to exit the home. "We can’t afford this home anymore, but don’t want to have a foreclosure on our credit history. And we need time to plan our move." A Mortgage Release is where you, the homeowner, voluntarily transfer the ownership of your property to the owner of your mortgage in exchange for a release from your mortgage loan and payments. Options are available (sometimes with a relocation incentive) to help you leave the home immediately; stay in the home for up to three months without paying rent; or lease the home (at market rates) for up to one year. Depending on your situation, you may be required to make a financial contribution to receive a mortgage release. What are the benefits of a Mortgage Release? What is the process for Mortgage Release? A mortgage release usually takes around 90 days to complete, but this could be shorter or longer depending upon your specific situation. Your next steps depend on which option you’ve qualified for. These include immediately vacating the home, staying in the home for up to three months (no rent), or leasing the home (paying market-based rent monthly) for up to one year. Additionally, when you vacate the home at the agreed-upon date, you are required to leave the home—inside and outside—in good condition, free of interior and exterior trash, debris or damage, and all personal belongings must be removed. In some cases, you may be eligible to receive up to $3,000 relocation assistance to use toward your moving expenses and to make the transition to new housing easier. Contact your mortgage company or the Fannie Mae Mortgage Help Network—Tell them you are interested in a Mortgage Release and you want to see if you qualify. Your mortgage company wants to help you avoid foreclosure and, in most cases, will be willing to work with you. The biggest mistake you can make is to wait any longer to take action. Contact your mortgage company today to determine if you are eligible for a Mortgage Release. 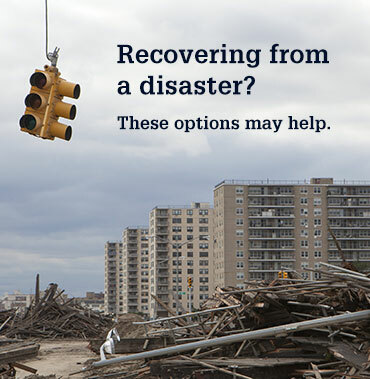 If you need further assistance (before or after contacting your mortgage company), contact a Housing Counselor.